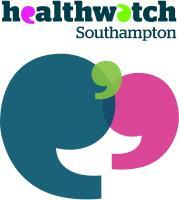 Healthwatch Southampton aims to help people to get the best out of Southampton's health and social care services. We are an independent organisation made up of individuals and community groups who work together to improve local services. We also provide free advice and support with NHS complaints. Healthwatch Southampton was set up specifically to ensure that the public would be able to better share their experiences of health and social care within Southampton. Our Feedback Centre is designed to allow you to share your stories about the services you have been receiving and read about similar experiences of other local residents. The feedback we receive can be used to build a better picture of Health and Social Care within Southampton – what areas are doing well and what areas needs improving. We are then able to work with local care providers to advocate for real changes that will improve services locally. You leave your comments, views and concerns using our Feedback Centre, or by calling us on 02380 216018 or by emailing us. We review your feedback and may signpost you to other organisations if appropriate. Health and social care service providers are made aware of your feedback and are invited to respond and/or take action if appropriate. You can review as many services as you like. We do ask for a little information about yourself when you leave a review however you may leave a review anonymously if you prefer. Providing feedback on a service provider via our Feedback Centre does not constitute as lodging a formal complaint – if appropriate we may sometimes get in contact with you to discuss your feedback. If you feel you have not had the service you expected from the national Health Service and want to complain, the law says you have the right to have the support of an advocate. Healthwatch Southampton works closely with the Independent NHS Complaints Advocacy Service, SEAP.